Media and marketing scribes in Australia were ignited somewhat last week with news of the imminent awarding of one of the largest outdoor media contracts in Australia — the City of Sydney’s street furniture and outdoor advertising assets. The official timetable quotes February as the expected announcement date. 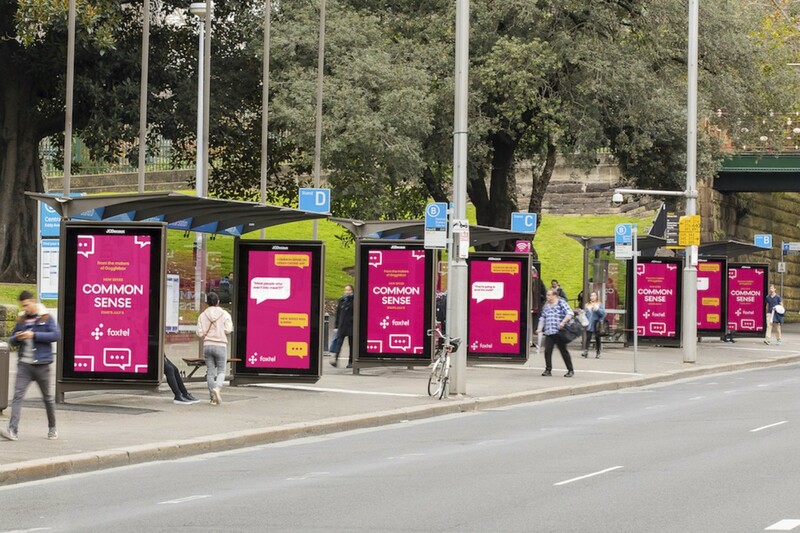 Comprising over 2,000 physical assets, the City of Sydney contract has been held by JCDecaux since 1999, and the tendering process has been underway for over 12 months. In addition to the street furniture (pay phones, bus stops, benches, kiosks, and public toilets) and advertising panels, the tender added a significant requirement of free Wi-Fi (at no cost to rate-payers). With all the mergers and acquisitions in the Australian outdoor media landscape in the past year, the City of Sydney was in hindsight, wise to slow the process to ensure maximum bang for rate-payer buck was achieved. This slowing of the process has also favoured the large telcos and their ambitions to move at pace from 4G to 5G. Telstra CEO Andy Penn has been in Las Vegas this past week spruiking the benefits of 5G to handset and consumer electronics manufacturers. Optus and Vodafone too are ramping up their 5G customer-benefit communications to ensure that the entire Australian market continues to lead the way in the roll-out of wireless connectivity as it has for many years. Where 5G and outdoor advertising media start to work together, is that 5G requires a far higher density of hardware per square kilometre than our current 4G infrastructure. This increase in density is what drives the benefits of 5G for consumers, chief amongst which is speed of connection. In the case of the City of Sydney street furniture and advertising contract, each of those 2,000 plus assets becomes a potential mounting point for a 5G micro-cell or even a Bluetooth Beacon. With a 5G micro-cell in each kiosk, bus shelter, and free-standing advertising panel, the opportunities for outdoor media to flourish are significant. The opportunities are also great for telcos to roll-out new 5G services where pedestrian and commuter movements are highest. This is the Internet of Things (IoT) at scale. Semi-connected outdoor media campaign for Lion Nathan via Ogilvy and UM. 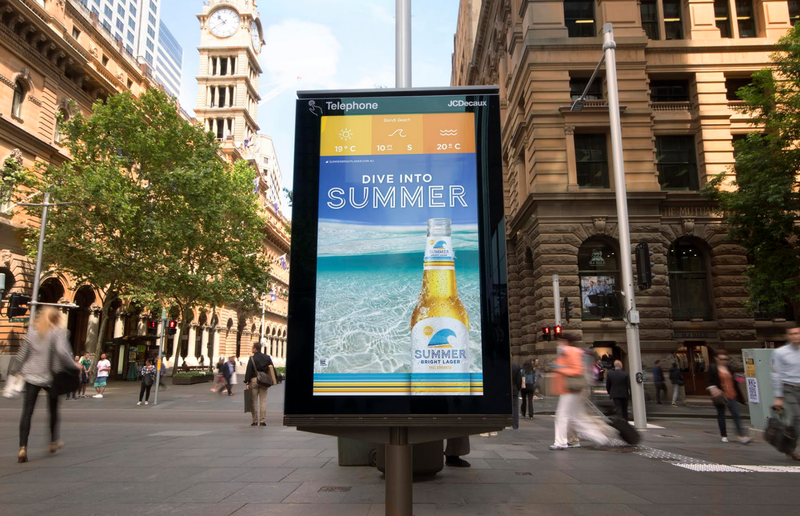 With 50% of all outdoor advertising revenue in Australia now being delivered on digital panels, there is a great opportunity for brands to increase context and tailor messages as Tim Rose suggests. Taking this thinking further, massive opportunities will shortly evolve for brands with established mobile audiences and customer bases to leverage outdoor media into highly measurable sales conversions from these connected panels. The digitisation of outdoor media is now the digitisation of indoor media too. Every menu board in your favourite fast-food restaurant is now a connected digital panel. Your favourite watering hole has an array of screens that can broadcast linear television content or present customised content to customers. When we connect these panels to 5G networks, very powerful and efficient “smart-display” networks will evolve at pace and scale. So, whilst device manufacturers such as Apple might not be burning the midnight oil preparing a 5G iPhone for release later this year, there are already a great number of other hardware manufacturers developing ways to capitalise on this technology early. Smart brands and their advertising and media agency partners would be wise to do the same.